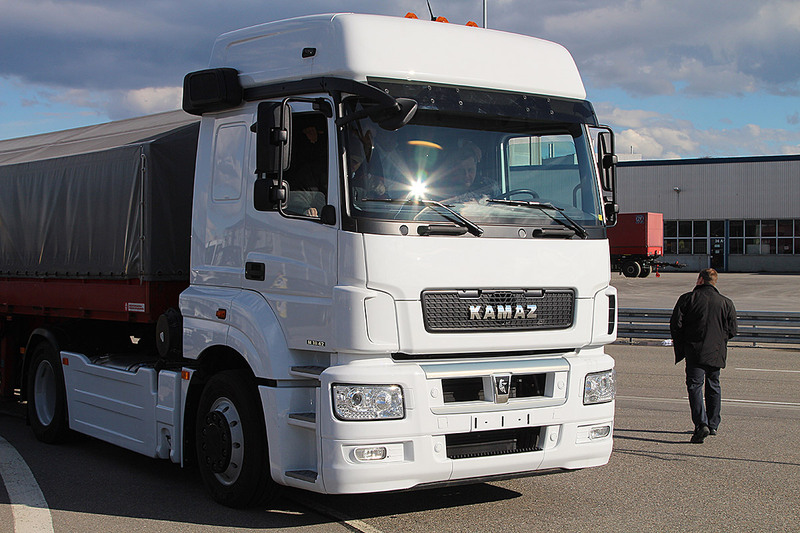 By the end of 2013, 96 next-generation KAMAZ-5490 (M1842) long-haul tractors made in cooperation with Daimler AG will have rolled off KAMAZ’s assembly line. The first KAMAZ-5490 production vehicle the gross combination weight of which is 44 tonnes rolled off the assembly line this October. The conveyor and the whole quality control system were reconstructed specially for KAMAZ-5490 production, and it was the first modernization of such a scale in the company’s history. 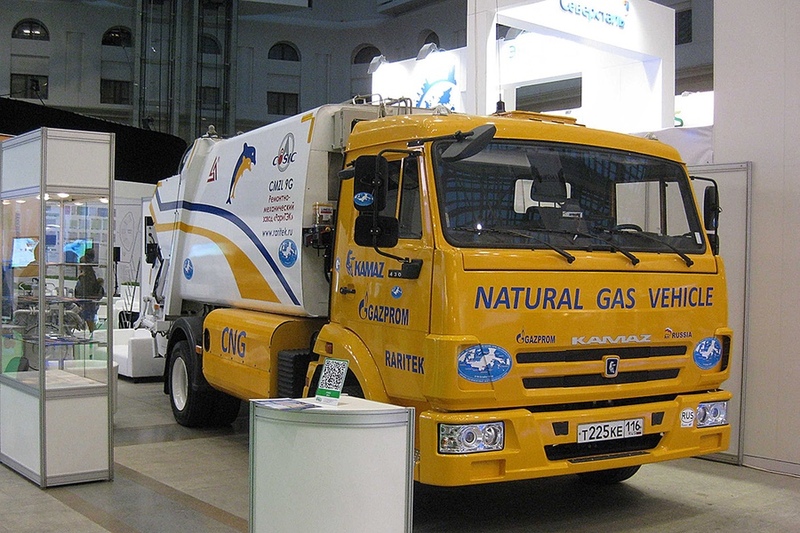 It is planned to produce 2,000 such trucks in 2014. It should be noted that the first vehicles had been bought already before they rolled off the assembly line, and, in December 2013, all KAMAZ vehicles produced under the M1842 index will be delivered to their owners. The world’s best technologies were applied to develop the new model range, which enabled to make the brand-new comfortable and safe vehicle with up-to-date electronic equipment. Today’s KAMAZ long-haul tractors are comfortable Mercedes-Benz cabins from the Axor line with air conditioners and heated seats and a modified system of the KAMAZ chassis. KAMAZ-5490 is powered with a Mercedes-Benz OM457LA inline 6-cylinder 428 hp engine meeting the Euro 5 standards (which will be replaced by a motor of the company’s own make in the future). 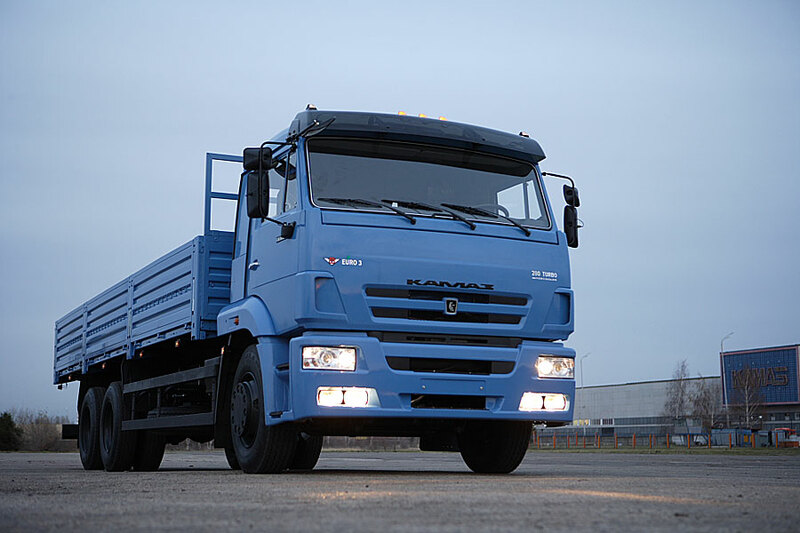 The new KAMAZ vehicles received new names according to international standards, which will enable to more easily promote them in the markets. In the first place, indices will be changed for KAMAZ-5490, KAMAZ-65206 and KAMAZ-65207. They will be called M1842, T2642 and T2640, respectively. The work of KAMAZ in the sphere of quality assurance was awarded by the European Foundation for Quality Management (EFQM) at the Interregional Conference Quality is the Basis of Competitiveness of Modern Automotive Industry held in Naberezhnye Chelny. Yury Gusakov, Vice President of the Russian Organization for Quality, the representative of EFQM in Russia, awarded OJSC KAMAZ the EFQM 5 Star Recognised for Excellence Certificate. The document officially confirms KAMAZ’s achievement of the highest level and inclusion in the register of successful European companies. 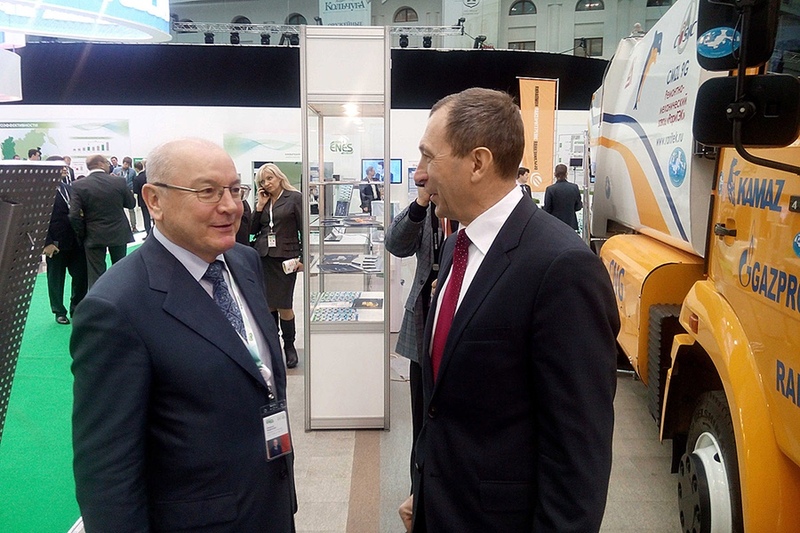 The Best Quality Assurance Manager Award was given to Yury Klochkov, First Deputy Director General of OJSC KAMAZ – CEO, within the limits of the regional competition for the Quality Award of the Government of the Republic of Tatarstan. “This is appraisal of thousands of KAMAZ employees’ work,” he said receiving the diploma from Ildar Mingaliev, Deputy Minister of the Ministry of Industry and Trade of the Republic of Tatarstan.